W1zzard a man of his word......nice write up! Thanks very much for the input on this. I'm with TPU on this one. Nothing about this contract forces the exclusion of criticism, because that exact criticism "benefits nvidia". PS. hope you had fun on your time off, bta. good to have you back. I got lost on an island (Phuket). Was fun though. NVIDIA’s new NDA basically says that any confidential information provided to the party must be used ‘solely for the benefit of NVIDIA‘. Heise's close inspection of the latest NDA by NVIDIA suggests to them that NVIDIA is mandating positive reviews now. We disagree. Can someone explain what the drama was about? Don't know / remember anything about it. I see nothing controversial about NDA. If there is an embargo till specific date, that's nothing unusual. It's to prevent fancy exclusives and clickbaits. Everyone gets the same release schedule. They cannot enforce positive reviewing. They may suggest you write favorably about their spanking new product if it proves to be that way, but they can't force you to do it if product turns out to be second grade. If they actually said that in the NDA and that gets out, they'd crash and burn with the force of million suns going supernova. Okay Nvidia Fanboy without a mind of his own. It's the numbers and graphs i use when comparing products, and as long as the numbers are legit i don't much care if there are an abundance of kind words towards Nvidia in reviews. A few weeks ago I was called AMD fanboy and now I'm NVIDIA fanboy. Lol. Make up your minds. I've signed NDA's before, they exist for a reason and they seem to be bitching over things that are most typical for NDA's. I've read the NDA from the images above and I don't see ANYTHING out of ordinary or controversial. I really don't get why ppl are bitching over. @btarunr If you stay then STFU with such accusations OR go to Tweaktown and their Mexican storefront style website. Tweaktown on mobile was horrendous. Banners would slide across your screen like fat PR slugs. I have enjoyed reading Techpowerup for about four years now. I agree with... every Editorial posted. ..this means today ... I ...support Techpowerup's position on this. I'm sure this also means I .... enjoy other websites like Anandtech. If this is the kind of legal documents that sites like Techpowerup are signing, ... then you are absolutely ... journalists. . Fixed a lot for you. Yeah the owner of Tweaktown came in here all emo'ed out waving his D!$K around and was made quick work of when nobody cared what he had to say. It was quite funny. Anyway Im sure websites like that jokers will be all "OMG THIS IS AGAINST MY JOURNALISTIC INTEGRITY! WAAAAAAA" hoping for clicks on his Mexican storefront site. Glad TPU keeps its feet to the ground and why its as big as it is. Its so sad how easily Techpowerup dismissess this NDA like its a norm of this industry. Since when did REVIEW sites turn into marketing tools for a company. My guess is when the money starts rolling in and integrity is out the window. The real problem is that the review sites are dependant on companies and their product launches. If you don't sign a joke of an NDA within a day or two, youre out of a big release and you loose income which it all comes down to. And this is right on the heels of the GPP meltdown that happened so im guessing Nvidia wants full control on what so called "review sites" write these days. 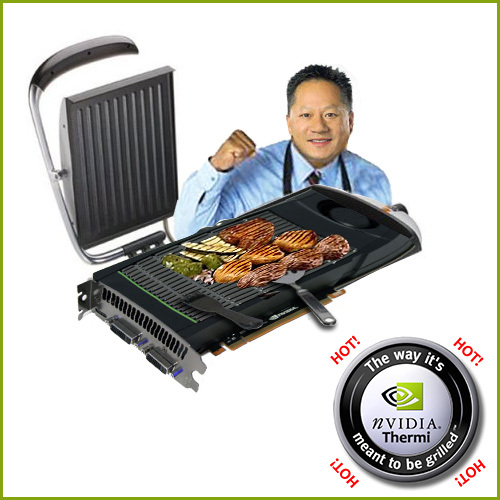 It's got "Nvidia" and "NDA" in it. Enough to trigger reflexes in some. Its so sad how easily Techpowerup dismissess this NDA like its a norm of this industry. This NDA is the norm of this industry. There's nothing about it that dictates TPU's review towards NVIDIA's product. I have been a part of said industry since 2009, I'd know. "This cooler is running too hot" benefits NVIDIA. "The fan curve could be a little less aggressive" benefits NVIDIA. Not leaking info prior to NDA is a given. Get over it, this is exactly how the industry works. What we see here in the comment section is people who love TPU and suddenly lose trust by TPU doing exactly what it has done for the past 14 years. This NDA changes 0% of W1zz's way of making GPU reviews. It does not effect his words in any way. You were told what's in your favorite salad, and now you hate it. Again, what's ACTUALLY controversial about it? NDA's actually help reviewers to be on a plain level. Would it be fair if some US review site gets samples already and European site like TPU gets them 2 weeks later because of shipping distances, that's a bit unfair isn't it? Meaning US reviewers would be enjoying an advantage over others because they got the cards sooner. Here, NVIDIA (or any company for that matter) declares the end of the embargo and if you don't make the review till that date, it's your fault. You get the material in advance. But everyone releases it at the same time when NDA is lifted. I see that as benefit for reviewers and not as tool of oppression. The rest of non disclosure is pretty usual stuff. I've signed similar one before for one of games when I worked as beta tester for a game company and I also signed one when we were visiting AVAST Software headquarters in Prague.